The speed of business has exponentially accelerated the supply chain, and our members rely on a variety of vendors’ tools, technology, and services to help them make their departments and the flow of goods run effectively. 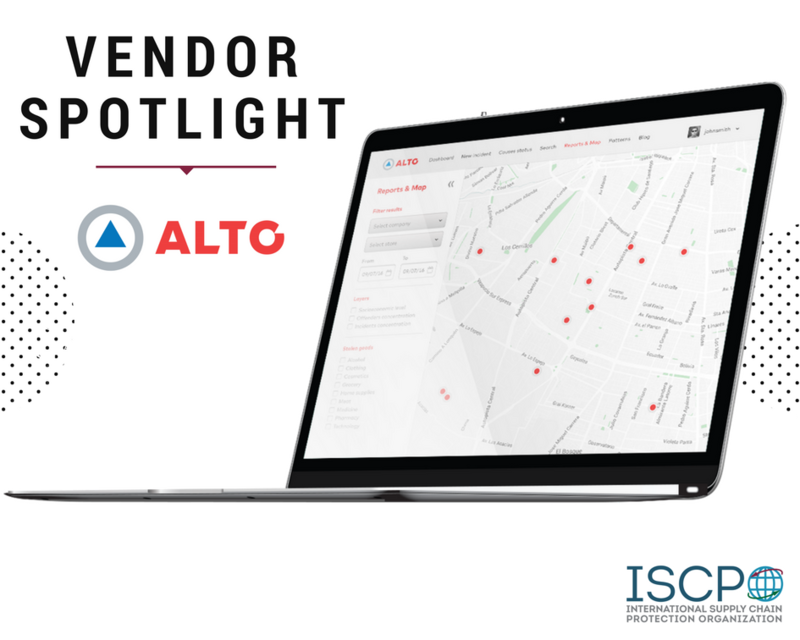 Our Vendor Spotlight Series aims to highlight innovative companies and their C-Level leaders who are taking the industry to the next level when it comes to LP & security. 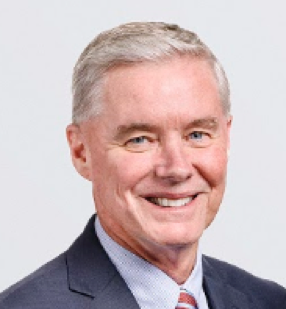 We recently caught up with Bob Glavin, Vice President, Market Development and Innovation at Avery Dennison Printer Solutions Division. Bob’s career includes experience in a variety of roles within Marketing, Product Management, Development and Innovation across 30 years with Avery Dennison. His experience encompasses the early days of barcoding in retail when UPC codes were first widely adopted, moving from implementation by the retailer to the originating product supplier. ISCPO: How does packaging innovation play a role in maintaining a high standard of supply chain protection? Packaging today has become more and more cost-effective while simultaneously significantly expanding its functionality and purpose. A secure and durable enclosure is no longer enough. Today’s package also needs to deter theft, carry a great brand message to help sell its contents, ensure that the product is authentic, be sustainable, and help prevent loss due to insufficient tracking, tracing, and/or poor visibility as to package location. Today’s “ideal package” is inexpensive, robust, tamper evident, sustainable, and is visible at all times, in effect continuously shouting “here I am!” It should also enable ready access to specific information about its contents – what are the contents made of, where did they come from, and where do they need to go – allowing for transparency and traceability for recalls or other purposes. ISCPO: How have packaging/labelling processes evolved over your tenure, specifically around security? Technology today has enabled and accelerated a lot more exchange of information within a supply chain. A lot of labelling in the past was done for the purposes of one location, or one company. Now the ability to exchange information between trading partners can be seamless and automated. In a well-defined end-to-end solution, a package or identification label put on at the manufacturing source can not only help protect the product but also provide valuable information on the contents of the package, all the way to the end consumer. The information can even be “tailored” to the audience. For example, enabling access to package origin and when it got to all trading partners in the supply chain, and specific component, ingredient and origin information to the end consumer. Packaging can be the “passport” for its contents, including information regarding where it has been and specific details about it. In really well-designed processes, leading supply chain companies are harnessing technology to do all of this with little or no “human interaction”- without additional labor. ISCPO: Tell us more about Avery Dennison’s commitment to sustainability. Why should Loss Prevention practitioners and risk management professionals care about sustainability? Avery Dennison has a deep, companywide commitment to sustainability. It is one of our eight core values. In 2018, we were named to Barron’s list of top 100 most sustainable companies. Sustainability is not only the right thing to do– we all need to be good stewards of our planet– it’s also good business. As our CEO Mitch Butier says: “As materials science innovators committed to making a meaningful difference, we see sustainability not only as a responsibility but also as an opportunity—to lead, to invent and to build a more resilient and profitable company.” We have set aggressive sustainability goals to achieve by 2025. In order to reach those goals, we have defined clear and measurable programs that we will activate every year around greenhouse gases, landfill waste, and responsible sourcing of paper, films, and chemicals. These eco-friendly programs allow us to ensure we are continuously on the path to successfully accomplish our long-term sustainability goals. Our goals also extend to helping our customers be more sustainable as well as ourselves. Leaders in all supply chain organizations should and do care about sustainability, because not only is it important for the future of our planet, it is also important to their customers, making it good for business as well. ISCPO: The speed of business has exponentially accelerated the supply chain, and our members rely on a variety of vendors’ innovative tools, technology, and services to help them make their departments and flow of goods run effectively. Tell us a challenge you see facing many professionals in the industry today and how Avery Dennison helps to solve this issue. Consumer demand requires the industry to improve velocity and have more actionable decision making data. However, every customer we talk with has a major challenge finding labor, and controlling its costs. We all need to reduce costs, so how can one do this with fewer, not more, labor hours? Avery Dennison designs and implements comprehensive “Intelligent Labeling” solutions, often using RFID technology. These solutions provide increased velocity and exponentially more actionable data, all without adding (and often dramatically reducing) the labor needed to collect and synthesize that data into clear actions. With real world, on the ground experience focusing on the Fulfillment, Food and Retail supply chains, we connect the physical and digital worlds by designing specific process solutions with and for your team, delivering ROI’s that are often measured in a few months versus years. 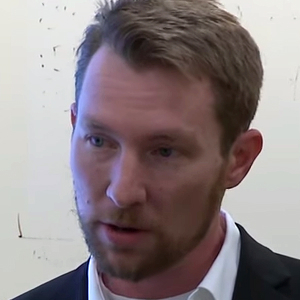 We recently caught up with Matthew Wensing, CEO of Riskpulse, a predictive and prescriptive analytics company that helps its clients strengthen their financial and physical operations globally through its sophisticated data-modeling and tracking software. ISCPO: Tell us how Riskpulse was created and what problem were you trying to solve? As an entrepreneur back in 2004, I launched Riskpulse to provide a better means of protecting the business world from mother nature. Essentially through tracking and alerts that were very advanced at the time. Google Maps had just been released and we were all fascinated with Google Earth. The vast majority of us had never seen the world at our fingertips like that. It breathed fresh life into the dreams that had gone bust in the late 90’s. Dreams of connectivity and instant access. But alongside the same positive explosion in data availability, I also witnessed the continued, shared failures of the public and private spheres to get people to act in a timely and informed way in response to natural disasters like Charley, Frances, Jeanne, and of course Katrina. I saw a huge opportunity for us to tie together the data readily available with consumer-friendly views into that data to help inspire people to protect their homes, their families, and yes, several years later, their supply chains. Riskpulse automatically enhances the planning of more than 2 million shipments annually. 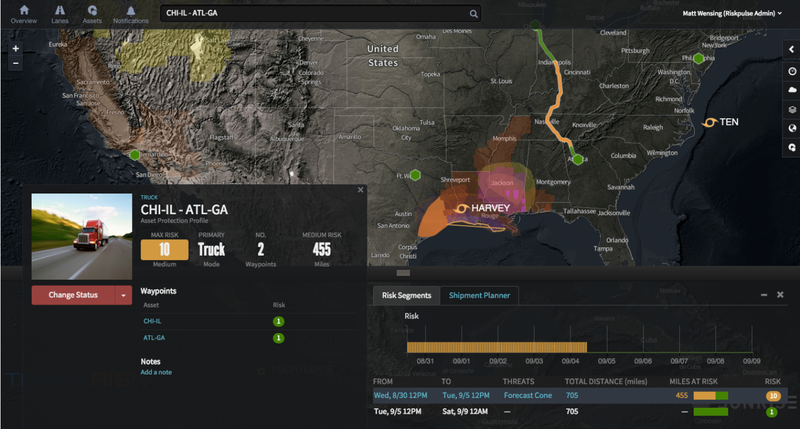 This screenshot depicts the forecasted impacts to a shipment heading south during Harvey’s landfall. ISCPO: Tell us a challenge you see facing many professionals in the industry today and how your product/service helps to solve this issue? We’re in the business of making retailers and manufacturers stronger in the way they move freight and protect their most valuable assets. For the most part, the systems that transact in this space are from the pre-smartphone era. They’re not smart. They just take orders and help a shipper execute them. That’s helpful but it’s a long way from smart. Riskpulse offers a cloud-based service that is a small dose of artificial intelligence applied to your entire supply chain. Where are the risks over the next two weeks and what can you do to reduce them? We provide updates in real-time and a continuous log that clients can use as a ledger of exposure. So the next time someone asks you about risks, you can point to the data we provide and provide them with a full history for every single asset in your network, as well as a forecast based on your unique vulnerabilities. Now rather than looking up today or yesterday’s information you are sitting on top of a growing mountain of insights, with a view into the future. And of course we’re still just at the beginning, but we believe Riskpulse is a better foundation. ISCPO: How has the industry evolved over your tenure? Whenever I think about the evolution of the supply chain – or lack thereof, I have to remind myself that the supply chain is a network. And it’s a network we’ve spent the last 500 years – since the trading era began – optimizing in certain ways among certain parties. All of that means it has an incredible amount of resilience, but the flipside is a huge amount of inertia and resistance to change. Look at Boston … the roads were horse trails that got paved. Sometimes I think the supply chain’s current era is like that. We are looking at our paved horse trails and asking how come we can’t get from A to B efficiently. Well it was efficient … when we all had horses and needed to stop at four places along the way and round the hill that isn’t even there anymore. So what I see is that we have so much more technology than the supply chain – the actual people and processes at the ground level – can absorb at the same rate. So there’s an incredible amount of impedance between the rate of invention and rate of adoption. Which can manifest as frustration. I’ve certainly seen it and felt it myself. But as a company providing solutions, I think that means there’s a pent-up opportunity to figure out how to deliver value instead of just creating it and handing the keys to the client. That’s a big focus of ours with Riskpulse. Customer success is everything. ISCPO: What must a company do to maintain a high standard of supply-chain protection? The basic pattern we see with our clients is a progression that leads them to an increasingly data-informed approach to decision-making. Often times when we first start talking they are, unfortunately, forced to rely on putting their fingers on some kind of large display and frankly, guessing, what the impacts of an event are going to be. They’re making phone calls proactively but they’re calling or surveying their entire supplier base just to find the needles in the many, many haystacks that might have problems hidden inside. This is obviously not a scalable solution. So we start by quantifying risks and in effect move their risk management from analog to digital. And then we log those scores and forecast the next set of scores for their entire supply chain – suppliers, customers, lanes, even their shipments. Then we distill that massive set of data down into a handful of insights that they can act on, weekly, or daily. But it all starts with quantifying everything you can. Getting all of your risk factors into a format that computers can understand, so they can, in a positive sense, take over the tasks that humans shouldn’t be doing. One time I met an LP professional who had two smartphones. One to look up current weather information and another to page through a store directory and her brain was just there to try to play matchmaker. That was obviously a tragedy in 2013. We gave her an automated solution and liberated her to spend time thinking about the data rather than creating it, which is what computers are obviously the best at. ISCPO: What are the biggest challenges to the role of supply-chain protection and security, from a holistic industry level? I think it goes back to the rate of adoption, or better said, the rate of ability for the supply chain to adopt solutions. I have built my entire career on the assumption that I didn’t have to be the most brilliant person in the room to be successful because there is a much more valuable and painful gap between invention and adoption than there is at the cutting edge. So how can we all adopt solutions faster? And how can we create a situation where it’s a win-win rather than competitive? I think we can take a page from the consumer world and look at companies and solutions like Facebook or email. These are systems—networks, that get better the more that people use them and join them. So there’s a bit of a clue in there … if we can create platforms that get smarter, richer, and more powerful each time someone joins or participates … then you have a very powerful solution to adoption. The early adopters – the avante garde, can join when the value is small and by the time the mainstream encounters it, it already has so much momentum, that all of the typical adoption challenges, which are often just influencers or people with veto power, are overcome because the platform is just too valuable to resist. I think if we can build a platform like that, we will be in a new era of supply chain protection and security compared to where we are today. 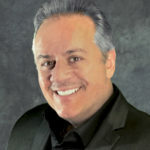 We recently caught up with ISCPO Board Member Maurizio Scrofani, Vice President, Supply Chain Security & Intelligence of ALTO US, a comprehensive collaboration program that combines technology, marketing, and intelligent prosecution, bridging the gap between retail and law enforcement to create safer environments. 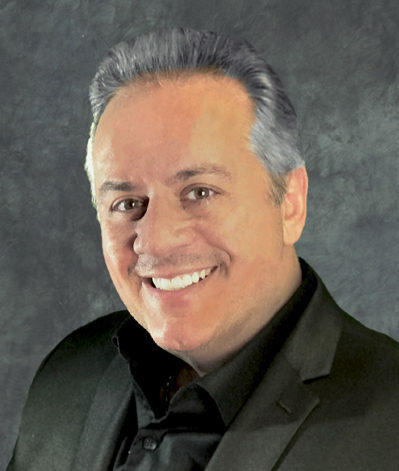 Maurizio has over 25 years of experience in asset protection, risk management, and supply-chain security. He has held various senior leadership positions with Macy’s, Bloomingdale’s, De’Longhi, and more notably Verisk Analytics, where he was the co-founder and president of CargoNet™, a supply-chain risk management company. When my team and I built CargoNet, the core challenge was “info-share.” The databases were very remedial at the time and many victims were not discussing their losses or knew where to put the lost data without fear of being financially penalized by some entity knowing they had an event. CargoNet assisted in one of the many phases of the desperately needed industry renaissance. Much of my retail tenure has focused on connecting the dots and understanding where the golden nuggets were hidden within the infrastructure of a multi-billion-dollar department store chain that had a global logistics footprint. Then a giant wrench called “omni-channel” was thrown into the mix. Omni-channel changed everything and that was when my retail team and I needed to move quickly into understanding the dynamic world of the Internet of Things (IoT) and its impact on both the consumer and the seller. Buy online and pick up at store. Return to store but not the one you bought from. Return from your home to the closest warehouse. Basically, we had to solve the challenge of “buy anything, anytime from anywhere and return any which way you choose.” The logistics LTL and parcel world became a must have versus a nice to have. In addition, the gap between brick-and-mortar professionals and supply-chain asset protection experts grew exponentially, and the ability to hire talent was strained. It quickly became evident that successful supply-chain talent was defined as logisticians with an expertise in asset protection versus asset protection experts learning logistics, let alone supply chain. The net became much wider, the systems became more advanced, and the skill sets needed to be shored up quickly. Today, there are a handful of domestic and global SMEs that understand where to find the golden nuggets and how to expose the vulnerabilities. You can see the evolution of security to loss prevention to retail asset protection to supply-chain asset protection to eventually its final evolution—supply-chain risk management. It’s likely that omni-channel will eventually be absorbed into the supply-chain risk management umbrella. ISCPO: What are the three most important elements a company must do to maintain a high standard of supply-chain protection? In its simplest term, a company must strongly consider vetting all its sourcing points—who they are buying from and selling to. And that effort needs to focus on real-time visibility because today even the best planners and forecasters is surprised by unanticipated situational events. Plus, there must be an audit or compliance program that supports best practice standards, government regulations, and the organization’s internal standards as well, while stressing testing compliance through a comprehensive assessment program. Omni-channel will continue to gain momentum, complexity, and speed so waiting and watching is unacceptable and will quickly foster unintentional risk exposure. ISCPO: What are the biggest challenges to supply-chain protection and security, from a holistic industry level? I believe system integration continues to be a challenge. There are those that continue to use the phrase “big data.” However, the data resides in multiple places. Even in the same company, one often can’t get to the information or doesn’t even know where it is available if it is at all. Most subject-matter experts are deep within their vertical but not often wide. Those who understand it holistically are not able to teach or touch as many folks as they need to in order to continue to shore up the industry risk mitigation efforts. Industry acceptance as it relates to consultive efforts to shore up a retailer’s loss prevention program remains a problem. If you look at the supply-chain space, we do bring on consultants, and they assist in moving projects and programs forward quickly. However, when you look at the brick-and-mortar space, you will see minimal adoption by loss prevention departments of this commonly used practice. My experience has been that if I needed to run multiple efforts or projects in parallel, my team was never big enough or had the amount of bandwidth necessary, so we had to use outside help. As we speak with both Fortune 100 and smaller clients, we notice that the size of the company does not correlate to the size of its challenges, as they are all facing similar problems. The various solutions that are legacy based or bought off the shelf, all have one fundamental flaw—they do not integrate well and are not exposing “what you don’t know that you don’t know.” We work tirelessly to ensure that we have looked at all facets of the supply chain, not just the logistics channels, and can eat that elephant with our clients one forkful at a time, while still meeting their day-to-day demands. We focus on a modular system that can come online and fits the client’s annual sales horizons, so we are not a financial burden. We expose their risk in terms of dynamic scoring from static origin locations, to dynamic in-transit scoring, to business partner selection as their personal vetting agent, if that is their need. We give them a comprehensive business intelligence platform that ties in an innovative event management platform, solid relationship analysis tool, and an omni-channel investigation system. We work feverishly to assist in democratizing their data to be useful and actionable. Our goal is to make complicated data easy to read and execute against. ALTO is a comprehensive loss prevention collaboration program that combines technology, marketing, and intelligent prosecution, bridging the gap between retail and law enforcement to create safer environments for customers and associates as well as enhanced business profitability. To find out more visit www.alto.us. 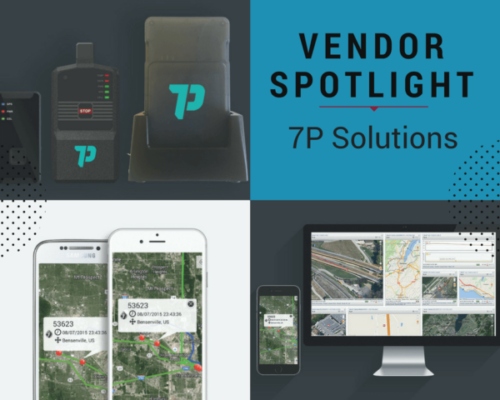 We recently caught up with Jeff Clark, Founder & CEO of 7PSolutions, a leader in cargo tracking technology, including real-time GPS tracking devices and software. Jeff is an industry veteran and has witnessed and led a transformation in how companies track, protect, and manage the transportation of goods. ISCPO: Tell us your background and experience in supply chain protection. Jeff: I spent 27 years managing global transportation companies, which included designing unique EDI and software functionality that provided enhanced supply chain visibility in the 90’s. In 2001 I was part of a t eam that participated in the early stages of C-TPAT as well as the Air Cargo Screening Program and the Indirect Air Carrier Program. In 2003 I left the transportation industry and was part of an eight (8) person team who started a company called BioStorage Technologies providing unique services in ultra-cold storage, inventory management and distribution of irreplaceable human clinical trial samples and clinical trial drug product. These two experiences raised the awareness of the need to protect the supply chain through the implementation of education and better tools for all stakeholders within the supply chain. In April 2010, I founded 7PSolutions with the vision to hold the supply chain accountable and ensure proper management of product integrity and protection of our clients’ brands. ISCPO: How has the industry evolved over your tenure? Who has contributed to your success? Jeff: When we started 7P we found that typical GPS services were not focused on supply chain visibility and were perceived to be more complicated than they actually were. In our early stages, it appeared to us that many users of these technologies had their service provider on-site or had them actually visit origin sites to place devices. It was our logistics experience and naivety that lead us to develop easy to use real-time GPS devices, combined with an event based GPS monitoring platform that was built around transportation management and supply chain. A service that the user could easily manage themselves. In our seven years in the industry, I believe the biggest changes we have seen is through our education of using the technologies for more than cargo security or product protection. The devices have not changed, GPS and the communications have not changed. The software application is the key to the services 7P provides. Since our beginnings, we have witnessed a change in how customers are managing GPS devices. Educating the customer has eliminated the need for the service provider to manage the devices on-site, which is a substantial reduction in cost. As well, we believe the options of how the customers manage their devices have changed; device ownership, replenishment programs, and disposable devices or a combination of these solutions help customers reduce and maintain cost. In our seven years in the industry, I believe the biggest changes we have seen is through our education of using the technologies for more than cargo security or product protection. The devices have not changed, GPS and the communications have not changed. The software application is the key to the services 7P provides. Since our beginnings, we have witnessed a change in how customers are managing GPS devices. Educating the customer has eliminated the need for the service provider to manage the devices on-site, which is a substantial reduction in cost. As well, we believe the options of how the customers manage their devices have changed; device ownership, replenishment programs, and disposable devices or a combination of these solutions help customers reduce and maintain cost. Early on in our business, our influences were Steve Covey, a cargo theft investigator with the Illinois State Police, now with the National Insurance Crime Bureau and Willie Morales who was with the TOMCATS and now Willie Morales Consulting. These two gentlemen educated us on the day to day challenges and concerns within the supply chain and the impact of cargo theft. Developing relationships with local, state, federal law enforcement agencies and cargo theft task force groups was an important factor of our beginnings. It provided us with additional education from a law enforcement perspective and allowed us to develop and build a strong network that provides us with Intel and assistance with recovery and investigations. 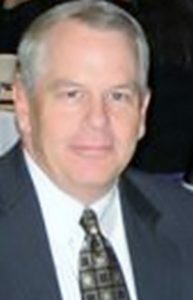 Additionally, John Tabor who now has ownership in 7P and is well-known in the cargo security and loss prevention arena. John’s early insight helped 7P better define client friendly solutions. There are many influencers and we cannot name all of them, but we must acknowledge Maurizio Scrofani Vice President of Supply Chain Security and Intelligence at Grupo ALTO. A visionary, Maurizio’s experience, knowledge, and vision helped guide 7P to further develop true supply chain and risk management tools within our GPS RouteWatch platform which includes our unique EDI Google Map tracking and risk management tools. ISCPO: What are the three most important elements a company must do to maintain a high standard of supply chain protection? Jeff: First and foremost, utilize a layered approach using a combination of technologies and train staff and transportation providers on a “need to know” basis. This is a combination of covert GPS, C-TPAT compliant seals, various routes, and other confidential security protocols. Secondly, understand what should be expected when using real-time GPS technologies and the associated challenges. This includes understanding the capabilities of individual GPS devices and how they meet your requirements. Do you require light detection, temperature monitoring, does the battery meet your transit times? Battery is also important. Many look only at the battery versus the transit time. One must consider if there is a cargo theft will the battery last through the recovery process. Daily there are many solutions being introduced to the market and although there are some very viable solutions there are many questionable solutions. Third, is the utilization of a robust software platform, properly backed up by supported redundancies, history, and validation. ISCPO: What are the biggest challenges (1-3) to supply chain protection & security you see from a holistic industry level? Jeff: 1. How to implement and manage a global solution 2. How to properly manage GPS devices and training 3. Employee education and training. ISPCO: Tell us a challenge you see facing many professionals in the industry today and how your product/service helps to solve this issue? Jeff: With the complexity and speed of the just-in-time supply chain, it is more important than ever to have complete visibility of inventory and the associated risk of goods in transit. Companies who understand the challenges of using real-time GPS devices understand what a powerful tool this technology is. Our real-time GPS devices and RouteWatch software platform are utilized around the world, incorporating all modes of transportation. Today our RouteWatch SecureFlight software has been approved by over 35 global airlines with access to over 4,300 aircraft. Our World Cargo Association Network allows us access to cargo security services and local regulations in over 6,400 offices and 190 countries. This network allows us to provide services around the world and local expertise in transportation and cargo security. 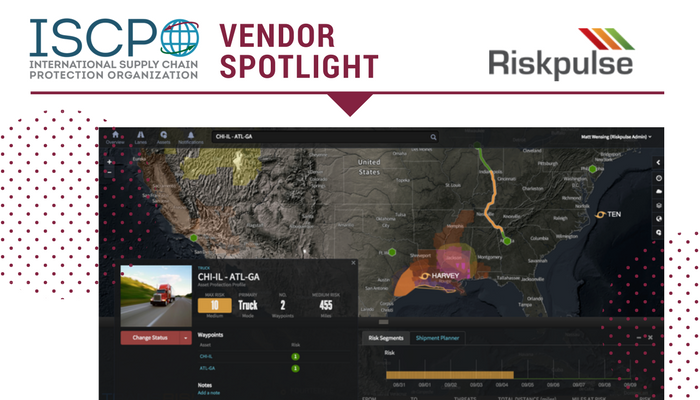 However real-time GPS cannot be utilized on every shipment within the supply chain and because of this, 7P provides a unique EDI supply chain visibility and risk management tool within our RouteWatch SaaS. Our EDI management tool also can combine shipments which contain GPS devices, giving the user a complete view of all inventory within the supply chain and associated risk levels. ISCPO: Thanks Jeff for your insights.